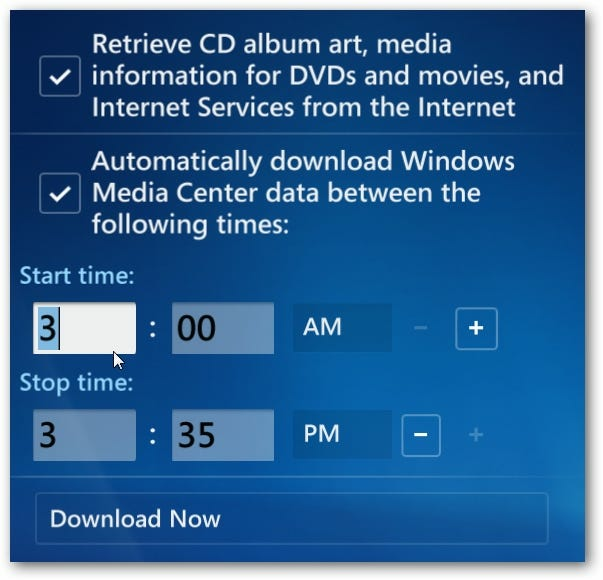 If you use Windows Media Center in Vista or Windows 7, it can sometimes be annoying when it decides to download updates and waste bandwidth while you’re working on other things. Here we take a look at scheduling the updates for a specific time. To schedule the updates for a specific time, open Media Center and go to Tasks \ Settings \ General \ Automatic Download Options. Then schedule a start and stop time for downloading updates. 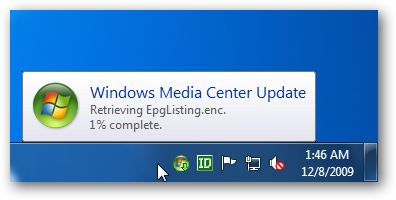 It’s annoying having WMC downloading updates if you’re working online and have a slower connection. This will allow you to still get the updates without interfering with your online activities.